Absence of Asymptomatic Malaria Infection in a Cross-sectional Study in Iranshahr District, Iran under Elimination Programmes.Pirahmadi S, Zakeri S, Raeisi A.Iran J Parasitol. 2017 Jan-Mar;12(1):90-100.PMID: 28761465 Free PMC Article Similar articlesSelect item 29859089 64. 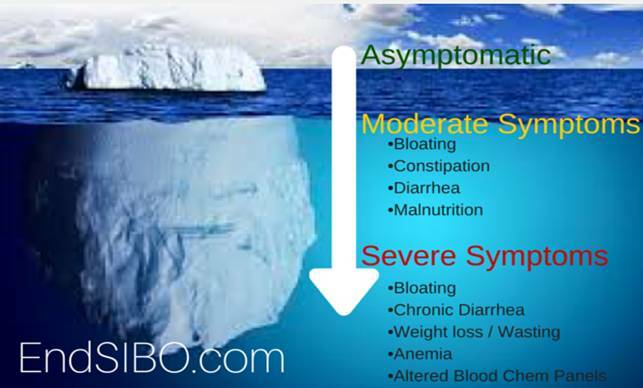 Prevalence and risk factors for asymptomatic malaria and genotyping of glucose 6-phosphate (G6PD) deficiencies in a vivax-predominant setting, Lao PDR: implications for sub-national elimination goals.Lover AA, Dantzer E, Hongvanthong B, Chindavongsa K, Welty S, Reza T, Khim N, Menard D, Bennett A.Malar J. 2018 Jun 1;17(1):218. doi: 10.1186/s12936-018-2367-5.PMID: 29859089 Free PMC Article Similar articles Select item 22297283 65. Molecular screening of Plasmodium infections among migrant workers in Thailand.Kritsiriwuthinan K, Ngrenngarmlert W.J Vector Borne Dis. 2011 Dec;48(4):214-8.PMID: 22297283 Free Article Similar articlesSelect item 28420399 66. Distinct parasite populations infect individuals identified through passive and active case detection in a region of declining malaria transmission in southern Zambia.Searle KM, Katowa B, Kobayashi T, Siame MNS, Mharakurwa S, Carpi G, Norris DE, Stevenson JC, Thuma PE, Moss WJ; Southern Africa International Centers of Excellence for Malaria Research.Malar J. 2017 Apr 19;16(1):154. doi: 10.1186/s12936-017-1810-3.PMID: 28420399 Free PMC Article Similar articlesSelect item 29304258 67. The Relative Contribution of Symptomatic and Asymptomatic Plasmodium vivax and Plasmodium falciparum Infections to the Infectious Reservoir in a Low-Endemic Setting in Ethiopia.Tadesse FG, Slater HC, Chali W, Teelen K, Lanke K, Belachew M, Menberu T, Shumie G, Shitaye G, Okell LC, Graumans W, van Gemert GJ, Kedir S, Tesfaye A, Belachew F, Abebe W, Mamo H, Sauerwein R, Balcha T, Aseffa A, Yewhalaw D, Gadisa E, Drakeley C, Bousema T.Clin Infect Dis. 2018 Jun 1;66(12):1883-1891. doi: 10.1093/cid/cix1123.PMID: 29304258 Similar articlesSelect item 29029179 68. Sustained Malaria Control Over an 8-Year Period in Papua New Guinea: The Challenge of Low-Density Asymptomatic Plasmodium Infections.Koepfli C, Ome-Kaius M, Jally S, Malau E, Maripal S, Ginny J, Timinao L, Kattenberg JH, Obadia T, White M, Rarau P, Senn N, Barry AE, Kazura JW, Mueller I, Robinson LJ.J Infect Dis. 2017 Dec 12;216(11):1434-1443. doi: 10.1093/infdis/jix507.PMID: 29029179 Free PMC Article Similar articlesSelect item 25326079 69. Detection of mixed infection level of Plasmodium falciparum and Plasmodium vivax by SYBR Green I-based real-time PCR in North Gondar, north-west Ethiopia.Tajebe A, Magoma G, Aemero M, Kimani F.Malar J. 2014 Oct 18;13:411. doi: 10.1186/1475-2875-13-411.PMID: 25326079 Free PMC Article Similar articles Select item 22909399 70. Mass blood survey for malaria: pooling and real-time PCR combined with expert microscopy in north-west Thailand.Congpuong K, Saejeng A, Sug-Aram R, Aruncharus S, Darakapong A, Meshnick SR, Satimai W.Malar J. 2012 Aug 21;11:288. doi: 10.1186/1475-2875-11-288.PMID: 22909399 Free PMC Article Similar articles Select item 12389937 71. Comparison of field and expert laboratory microscopy for active surveillance for asymptomatic Plasmodium falciparum and Plasmodium vivax in western Thailand.Coleman RE, Maneechai N, Rachaphaew N, Kumpitak C, Miller RS, Soyseng V, Thimasarn K, Sattabongkot J.Am J Trop Med Hyg. 2002 Aug;67(2):141-4.PMID: 12389937 Similar articlesSelect item 29016335 72. Performance of Loop-Mediated Isothermal Amplification for the Identification of Submicroscopic Plasmodium falciparum Infection in Uganda.Katrak S, Murphy M, Nayebare P, Rek J, Smith M, Arinaitwe E, Nankabirwa JI, Kamya M, Dorsey G, Rosenthal PJ, Greenhouse B.Am J Trop Med Hyg. 2017 Dec;97(6):1777-1781. doi: 10.4269/ajtmh.17-0225. Epub 2017 Oct 5.PMID: 29016335 Similar articles Select item 27566274 73. Prevalence of malaria in pregnancy in southern Laos: a cross-sectional survey.Briand V, Le Hesran JY, Mayxay M, Newton PN, Bertin G, Houzé S, Keomany S, Inthavong Y, Vannavong N, Chindavongsa K, Hongvanthong B, Fievet N.Malar J. 2016 Aug 26;15(1):436. doi: 10.1186/s12936-016-1492-2.PMID: 27566274 Free PMC Article Similar articles Select item 27628178 74. 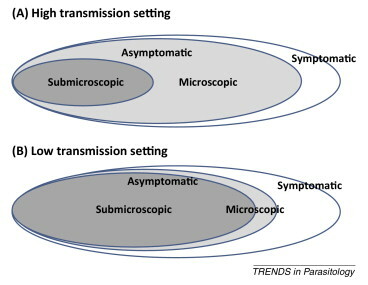 Characterizing microscopic and submicroscopic malaria parasitaemia at three sites with varied transmission intensity in Uganda.Rek J, Katrak S, Obasi H, Nayebare P, Katureebe A, Kakande E, Arinaitwe E, Nankabirwa JI, Jagannathan P, Drakeley C, Staedke SG, Smith DL, Bousema T, Kamya M, Rosenthal PJ, Dorsey G, Greenhouse B.Malar J. 2016 Sep 15;15:470. doi: 10.1186/s12936-016-1519-8.PMID: 27628178 Free PMC Article Similar articles Select item 21774805 75. Specific, sensitive and rapid detection of human plasmodium knowlesi infection by loop-mediated isothermal amplification (LAMP) in blood samples.Lau YL, Fong MY, Mahmud R, Chang PY, Palaeya V, Cheong FW, Chin LC, Anthony CN, Al-Mekhlafi AM, Chen Y.Malar J. 2011 Jul 20;10:197. doi: 10.1186/1475-2875-10-197.PMID: 21774805 Free PMC Article Similar articles Select item 24795480 76. Field evaluation of a real-time fluorescence loop-mediated isothermal amplification assay, RealAmp, for the diagnosis of malaria in Thailand and India.Patel JC, Lucchi NW, Srivastava P, Lin JT, Sug-Aram R, Aruncharus S, Bharti PK, Shukla MM, Congpuong K, Satimai W, Singh N, Udhayakumar V, Meshnick SR.J Infect Dis. 2014 Oct 15;210(8):1180-7. doi: 10.1093/infdis/jiu252. Epub 2014 May 1.PMID: 24795480 Similar articlesSelect item 23927596 77. Is a Plasmodium lactate dehydrogenase (pLDH) enzyme-linked immunosorbent (ELISA)-based assay a valid tool for detecting risky malaria blood donations in Africa?Atchade PS, Doderer-Lang C, Chabi N, Perrotey S, Abdelrahman T, Akpovi CD, Anani L, Bigot A, Sanni A, Candolfi E.Malar J. 2013 Aug 8;12:279. doi: 10.1186/1475-2875-12-279.PMID: 23927596 Free PMC Article Similar articles Select item 26870958 78. Sensitive Detection of Plasmodium vivax Using a High-Throughput, Colourimetric Loop Mediated Isothermal Amplification (HtLAMP) Platform: A Potential Novel Tool for Malaria Elimination.Britton S, Cheng Q, Grigg MJ, Poole CB, Pasay C, William T, Fornace K, Anstey NM, Sutherland CJ, Drakeley C, McCarthy JS.PLoS Negl Trop Dis. 2016 Feb 12;10(2):e0004443. doi: 10.1371/journal.pntd.0004443. eCollection 2016 Feb.PMID: 26870958 Free PMC Article Similar articles Select item 30096462 79. 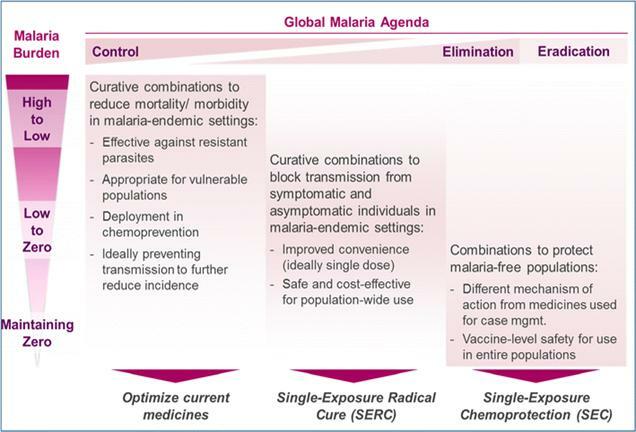 Evaluation of malaria multiplex/nested PCR performance at low parasite densities and mixed infection in Iran: A country close to malaria elimination.Mirahmadi H, Shahrakipour A, Mehravaran A, Khorashad AS, Rahmati-Balaghaleh M, Zarean M.Infect Genet Evol. 2018 Aug 7;65:283-287. doi: 10.1016/j.meegid.2018.08.005. [Epub ahead of print]. 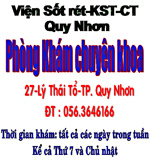 PMID: 30096462 Similar articlesSelect item 25888818 80. Direct detection of falciparum and non-falciparum malaria DNA from a drop of blood with high sensitivity by the dried-LAMP system.Hayashida K, Kajino K, Simukoko H, Simuunza M, Ndebe J, Chota A, Namangala B, Sugimoto C.Parasit Vectors. 2017 Jan 13;10(1):26. doi: 10.1186/s13071-016-1949-8. 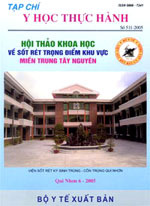 PMID: 28086864 Free PMC Article Similar articles Select item 25890368 82. Comparison of rapid diagnostic test Plasmotec Malaria-3, microscopy, and quantitative real-time PCR for diagnoses of Plasmodium falciparum and Plasmodium vivax infections in Mimika Regency, Papua, Indonesia.Fransisca L, Kusnanto JH, Satoto TB, Sebayang B, Supriyanto, Andriyan E, Bangs MJ.Malar J. 2015 Mar 5;14:103. doi: 10.1186/s12936-015-0615-5.PMID: 25890368 Free PMC Article Similar articles Select item 28302168 83. Comparison of the diagnostic performance of microscopic examination with nested polymerase chain reaction for optimum malaria diagnosis in Upper Myanmar.Kang JM, Cho PY, Moe M, Lee J, Jun H, Lee HW, Ahn SK, Kim TI, Pak JH, Myint MK, Lin K, Kim TS, Na BK.Malar J. 2017 Mar 16;16(1):119. doi: 10.1186/s12936-017-1765-4.PMID: 28302168 Free PMC Article Similar articles Select item 22513192 84. Comparison of molecular tests for the diagnosis of malaria in Honduras.Fontecha GA, Mendoza M, Banegas E, Poorak M, De Oliveira AM, Mancero T, Udhayakumar V, Lucchi NW, Mejia RE.Malar J. 2012 Apr 18;11:119. doi: 10.1186/1475-2875-11-119.PMID: 22513192 Free PMC Article Similar articles Select item 23706132 85. Epidemiology of Plasmodium infections in Flores Island, Indonesia using real-time PCR.Kaisar MM, Supali T, Wiria AE, Hamid F, Wammes LJ, Sartono E, Luty AJ, Brienen EA, Yazdanbakhsh M, van Lieshout L, Verweij JJ.Malar J. 2013 May 24;12:169. doi: 10.1186/1475-2875-12-169.PMID: 23706132 Free PMC Article Similar articles Select item 24721227 86. Detection of Plasmodium vivax and Plasmodium falciparum DNA in human saliva and urine: loop-mediated isothermal amplification for malaria diagnosis.Ghayour Najafabadi Z, Oormazdi H, Akhlaghi L, Meamar AR, Nateghpour M, Farivar L, Razmjou E.Acta Trop. 2014 Aug;136:44-9. doi: 10.1016/j.actatropica.2014.03.029. Epub 2014 Apr 8.PMID: 24721227 Similar articles Select item 24206649 87. 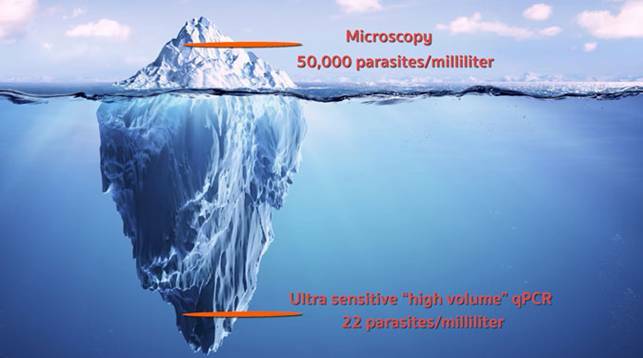 An innovative tool for moving malaria PCR detection of parasite reservoir into the field.Canier L, Khim N, Kim S, Sluydts V, Heng S, Dourng D, Eam R, Chy S, Khean C, Loch K, Ken M, Lim H, Siv S, Tho S, Masse-Navette P, Gryseels C, Uk S, Van Roey K, Grietens KP, Sokny M, Thavrin B, Chuor CM, Deubel V, Durnez L, Coosemans M, Ménard D.Malar J. 2013 Nov 9;12:405. doi: 10.1186/1475-2875-12-405.PMID: 24206649 Free PMC Article Similar articlesSelect item 17567794 88. Detection of four Plasmodium species by genus- and species-specific loop-mediated isothermal amplification for clinical diagnosis.Han ET, Watanabe R, Sattabongkot J, Khuntirat B, Sirichaisinthop J, Iriko H, Jin L, Takeo S, Tsuboi T.J Clin Microbiol. 2007 Aug;45(8):2521-8. Epub 2007 Jun 13.PMID: 17567794 Free PMC Article Similar articles Select item 26511932 89. Performance of four HRP-2/pLDH combination rapid diagnostic tests and field microscopy as screening tests for malaria in pregnancy in Indonesia: a cross-sectional study.Ahmed R, Levy EI, Maratina SS, de Jong JJ, Asih PB, Rozi IE, Hawley W, Syafruddin D, ter Kuile F.Malar J. 2015 Oct 29;14:420. doi: 10.1186/s12936-015-0943-5.PMID: 26511932 Free PMC Article Similar articles Select item 22682065 90. Simultaneous detection of Plasmodium vivax and Plasmodium falciparum gametocytes in clinical isolates by multiplex-nested RT-PCR.Kuamsab N, Putaporntip C, Pattanawong U, Jongwutiwes S.Malar J. 2012 Jun 10;11:190. doi: 10.1186/1475-2875-11-190.PMID: 22682065 Free PMC Article Similar articles Select item 25996916 91. 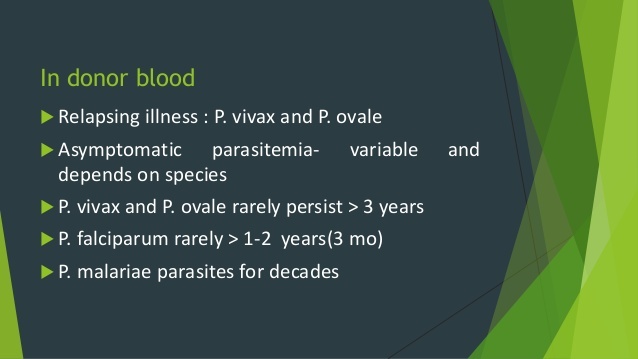 Blood-Stage Parasitaemia and Age Determine Plasmodium falciparum and P. vivax Gametocytaemia in Papua New Guinea.Koepfli C, Robinson LJ, Rarau P, Salib M, Sambale N, Wampfler R, Betuela I, Nuitragool W, Barry AE, Siba P, Felger I, Mueller I.PLoS o­ne. 2015 May 21;10(5):e0126747. doi: 10.1371/journal.pone.0126747. eCollection 2015.PMID: 25996916 Free PMC Article Similar articles Select item 26931488 92. Reactive case-detection of malaria in Pailin Province, Western Cambodia: lessons from a year-long evaluation in a pre-elimination setting.Hustedt J, Canavati SE, Rang C, Ashton RA, Khim N, Berne L, Kim S, Sovannaroth S, Ly P, Ménard D, Cox J, Meek S, Roca-Feltrer A.Malar J. 2016 Mar 1;15:132. doi: 10.1186/s12936-016-1191-z. PMID: 26931488 Free PMC Article Similar articles Select item 23633405 93. 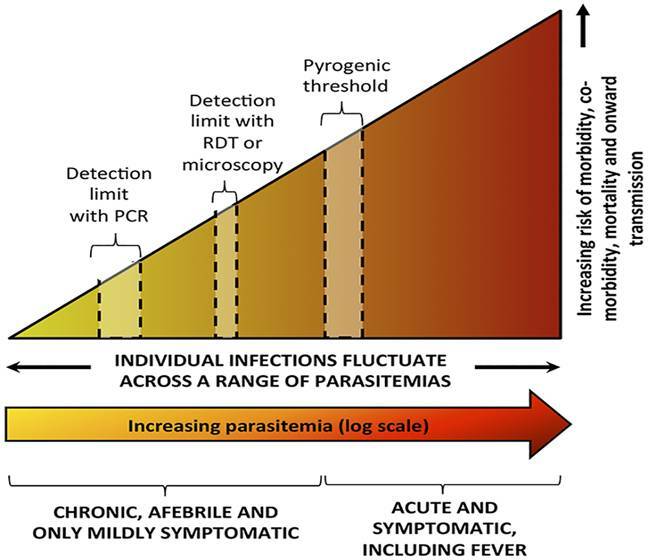 Highly sensitive detection of malaria parasitemia in a malaria-endemic setting: performance of a new loop-mediated isothermal amplification kit in a remote clinic in Uganda.Hopkins H, González IJ, Polley SD, Angutoko P, Ategeka J, Asiimwe C, Agaba B, Kyabayinze DJ, Sutherland CJ, Perkins MD, Bell D.J Infect Dis. 2013 Aug 15;208(4):645-52. doi: 10.1093/infdis/jit184. Epub 2013 Apr 30. 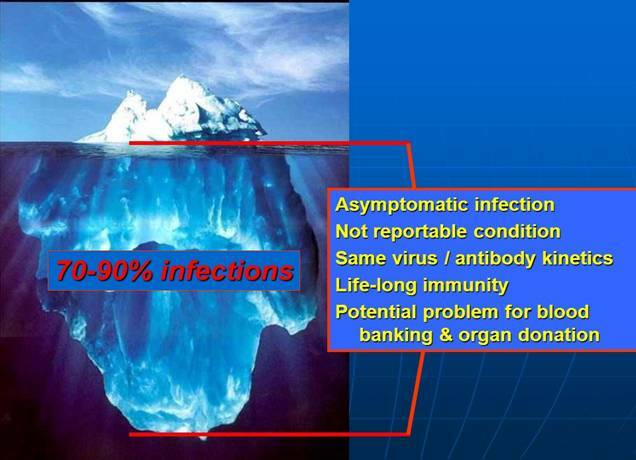 Erratum in: J Infect Dis. 2014 May 1;209(9):1494. PMID: 23633405 Free PMC Article Similar articles Select item 25627037 94. Loop-mediated isothermal amplification (LAMP) for point-of-care detection of asymptomatic low-density malaria parasite carriers in Zanzibar.Cook J, Aydin-Schmidt B, González IJ, Bell D, Edlund E, Nassor MH, Msellem M, Ali A, Abass AK, Mårtensson A, Björkman A.Malar J. 2015 Jan 28;14:43. doi: 10.1186/s12936-015-0573-y.PMID: 25627037 Free PMC Article Similar articlesSelect item 28778210 95. 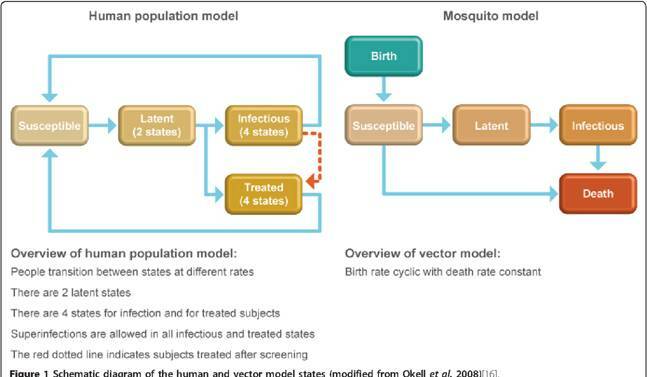 Micro-heterogeneity of malaria transmission in the Peruvian Amazon: a baseline assessment underlying a population-based cohort study.Rosas-Aguirre A, Guzman-Guzman M, Gamboa D, Chuquiyauri R, Ramirez R, Manrique P, Carrasco-Escobar G, Puemape C, Llanos-Cuentas A, Vinetz JM.Malar J. 2017 Aug 4;16(1):312. doi: 10.1186/s12936-017-1957-y.PMID: 28778210 Free PMC Article Similar articles Select item 27824866 96. A Field-Tailored Reverse Transcription Loop-Mediated Isothermal Assay for High Sensitivity Detection of Plasmodium falciparum Infections.Kemleu S, Guelig D, Eboumbou Moukoko C, Essangui E, Diesburg S, Mouliom A, Melingui B, Manga J, Donkeu C, Epote A, Texier G, LaBarre P, Burton R, Ayong L.PLoS o­ne. 2016 Nov 8;11(11):e0165506. doi: 10.1371/journal.pone.0165506. eCollection 2016.PMID: 27824866 Free PMC Article Similar articles Select item 29914490 97. In situ loop-mediated isothermal amplification (LAMP) for identification of Plasmodium species in wide-range thin blood smears.Hashimoto M, Sakamoto H, Ido Y, Tanaka M, Yatsushiro S, Kajimoto K, Kataoka M.Malar J. 2018 Jun 19;17(1):235. doi: 10.1186/s12936-018-2381-7.PMID: 29914490 Free PMC Article Similar articles Select item 23537145 98. Misclassification of Plasmodium infections by conventional microscopy and the impact of remedial training o­n the proficiency of laboratory technicians in species identification.Obare P, Ogutu B, Adams M, Odera JS, Lilley K, Dosoo D, Adhiambo C, Owusu-Agyei S, Binka F, Wanja E, Johnson J.Malar J. 2013 Mar 27;12:113. doi: 10.1186/1475-2875-12-113.PMID: 23537145 Free PMC Article Similar articles Select item 20925928 99. Comparison of real-time PCR and microscopy for malaria parasite detection in Malawian pregnant women.Rantala AM, Taylor SM, Trottman PA, Luntamo M, Mbewe B, Maleta K, Kulmala T, Ashorn P, Meshnick SR.Malar J. 2010 Oct 6;9:269. doi: 10.1186/1475-2875-9-269.PMID: 20925928 Free PMC Article Similar articles Select item 29251261 100. 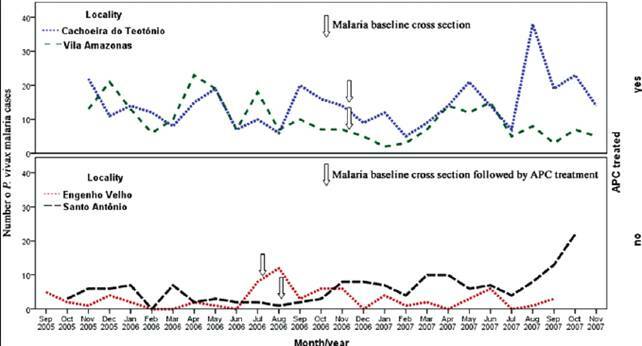 Reactive case-detection of malaria in Pailin Province, Western Cambodia: lessons from a year-long evaluation in a pre-elimination setting.Hustedt J, Canavati SE, Rang C, Ashton RA, Khim N, Berne L, Kim S, Sovannaroth S, Ly P, Ménard D, Cox J, Meek S, Roca-Feltrer A.Malar J. 2016 Mar 1;15:132. doi: 10.1186/s12936-016-1191-z.PMID: 26931488 Free PMC Article Similar articles Select item 23633405 93.